One of our most extraordinary assets in the College of Natural and Computational Sciences is our faculty. We have 45 full-time faculty split among three departments: the Department of Computer Science and Engineering, the Department of Mathematics, and the Department of Natural Sciences. 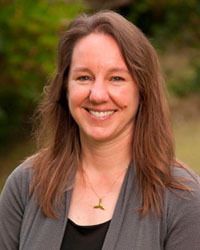 In collaboration with a strong roster of adjunct faculty – many of whom are working experts in their fields – our full time faculty deliver nine bachelor degree programs, including Biochemistry, Biology (General and Human and Health Sciences), Chemistry, Computer Science, Environmental Science, Environmental Studies, Marine Biology, Mathematics (Pure, Applied, and Education) , and Oceanography . Some of our majors have two or more concentrations which will provide you with further depth and choice as well as greater opportunity to match your academic program with your specific interests and career goals. At the same time, many of our Bachelor programs have accompanying Minor degrees that provide students breadth beyond their main field of study. HPU is uniquely positioned to capitalize. The lush tropical environment paired with our beautiful coral reefs and coastal habitats provide a rich arena for education and research. Our marine laboratory at the Oceanic Institute is an active research and teaching facility along the awe-inspiring windward coast. Additionally, we have many field laboratory experiences that utilize a wider breadth of the naturally-available locations around the island of Oahu, and even off our shores aboard educational research vessel Kaholo . Our college also maintains articulation agreements with a number of other universities in the areas of engineering and the health professions. The 3-2 Engineering Program is an extraordinary dual-degree program in Applied Mathematics and Engineering in partnership with two top engineering programs. Successful students are awarded an Applied Mathematics degree from HPU and an Engineering degree from their choice of either University of Southern California (USC) in Los Angeles or Washington University in St. Louis. Our Pre-Health Professions Program supports our students in their progression toward medical, dental, pharmacy, physical therapy, or chiropractic schools. Although aligned with the Biology Program’s concentration in Human and Health Sciences, students from any major can fully participate in the program and receive the same mentoring, advising, and other services to ensure they stay on track to meet their goals. We take great pride in the generous variety of educational opportunities offered in the College of Natural and Computational Sciences. We recognize that the better prepared, trained, and developed our students are, the more they will standout and excel wherever their next destination may be – whether immediately joining the workforce or further matriculating into graduate or professional school. And quite simply, your success as an HPU graduate is our success. I welcome you to contact us with any further questions or requests for materials. Working with 16 colleagues around the world, Dr. David Hyrenbach has co-authored a global study monitoring Persistent Organic Pollutants (POPs) using seabird preen gland oil. This study, including 154 samples taken from 24 seabird species ranging from Antarctica to Alaska, underscores the importance of the geographic pollutant concentration patterns and the dietary behavior as determinants of species-specific POPs concentrations. "Working with colleagues from Monterey Bay Aquarium, the Bishop Museum, and Duke University, we have published a paper entitled 'Seabird Trophic Position Across Three Ocean Regions Tracks Ecosystem Differences' in the journal Frontiers in Marine Science. 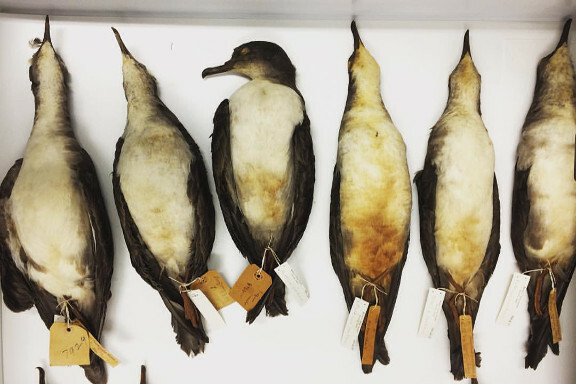 We compared the trophic position of two tropical seabird species sampled in three ocean basins: the North Pacific, the South Pacific and the North Atlantic. Our results revealed a spatial gradient in food web structure, which aligns with concurrent patterns of ocean warming and fishing impacts on fish populations." 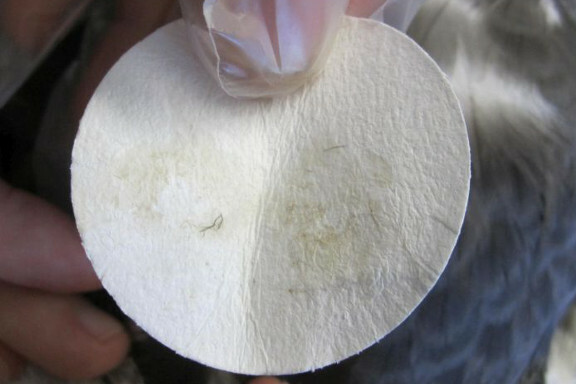 Dr. David Hyrenbach and colleagues from Oikonos - Ecosystem Knowledge, American Bird Conservancy and NOAA have published the first evidence of plastic ingestion in the endangered Short-tailed Albatross. 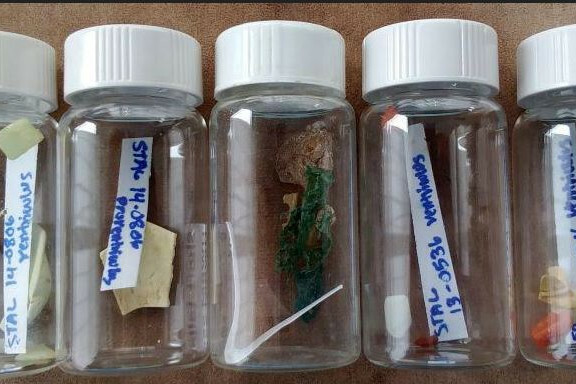 Overall, 75% of necropsied specimens had ingested plastic, which consisted mostly of fragments (90% by mass). HPU is proud to announce the introduction of a Bachelor of Science in Engineering starting Fall 2018. Students will have the option of multiple tracks including Electrical Engineering; with options for a Concentration in Engineering Sustainability and to graduate with Honors, in Biomedical Engineering, and in Biotechnology Engineering, with specializations in Bioprocess and Bioenvironmental Engineering. 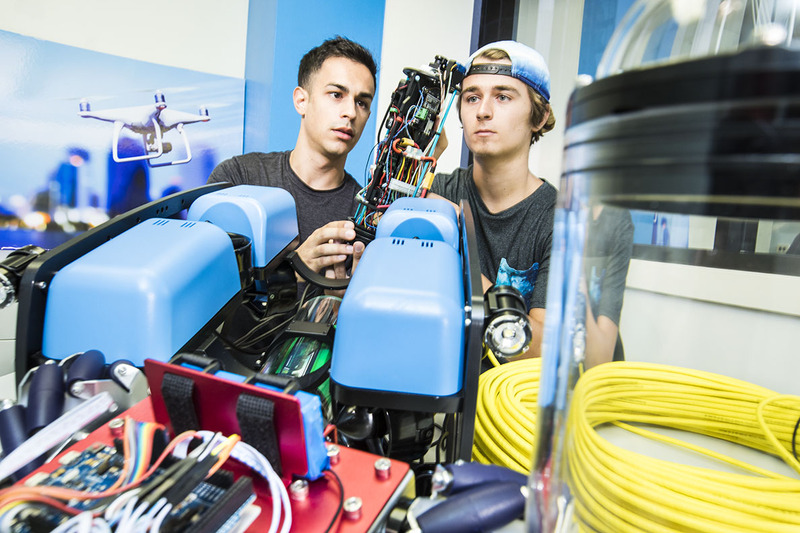 All HPU Engineering students will get hands-on experience in applying engineering concepts through several laboratories and project courses across all three programs in addition to a research thesis option for Electrical Engineering. In addition, there are opportunities to participate in robotics projects within the Robotics for Good Club, which has teams exploring Air, Land, Water, and Outreach. In their senior year, students will also have the option to study abroad during their fall semester.